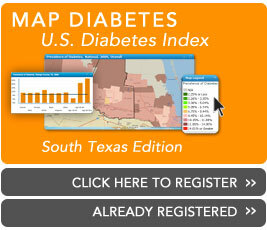 Texas A&M Awarded Funding to Help Reverse Diabetes Epidemic in South Texas | National Minority Quality Forum, Inc.
n South Texas, the human suffering and medical expenses of a third of the population living with type 2 diabetes is catastrophic. For people who have diabetes but lack medical coverage, it costs approximately $0.2 million per year for sporadic, intensive emergency room visits for dialysis during the last 3 years of life. In hopes of reversing this trend, Dr. Ann Millard, will begin a walking group and healthy eating program led by promotoras de salud (Community Health Workers) in the colonias of Weslaco, Texas. An associate professor at the Texas A&#amp;M Health Science Center School of Public Health McAllen Campus, Millard will continue her work through a 2-year $342,000 grant awarded from the Knapp Community Care Foundation. Read more.